NICOSIA, Cyprus Cyprus' government has drawn up a new plan to raise funds needed for the country to secure a crucial international bailout, three top government officials said Wednesday. The new bill could be voted on as early as Thursday evening, one of the officials said. Parliament had resoundingly rejected the previous plan, which involved seizing up to 10 percent of people's bank deposits. The rejection threw Cyprus' entire bailout into question, raising the possibility that the country's banks could collapse, the government would be unable to pay its bills and Cyprus could be forced out of the euro. The officials said the new "Plan B" includes some Russian assistance and a smaller bank deposit tax. Parliament is expected to vote on the new bill Thursday. The officials all spoke on condition of anonymity because the plan was not yet being made public. One official said Plan B was ready to be presented to party leaders at a meeting Thursday morning. The plan includes "some form" of Russian help, the official said, but expectations shouldn't be high because Moscow had made clear it didn't want to damage relations with the European Union. Cyprus has turned to long-time ally Russia for help, with Finance Minister Michalis Sarris flying to Moscow on Tuesday for meetings and saying he would remain there as long as was required. Nearly a third of the total amount of deposits in Cyprus' banks is believed to be held by Russians. The idea that authorities could dip directly into people's bank accounts had outraged Cypriots and Russians alike. The European Union, and Germany in particular, have long argued that they should not have to ask their own taxpayers to contribute to bailing out a country when it was Russian oligarchs who would benefit. A second government official said Plan B still includes some tax on deposits, but at a percentage definitely lower than those originally proposed. 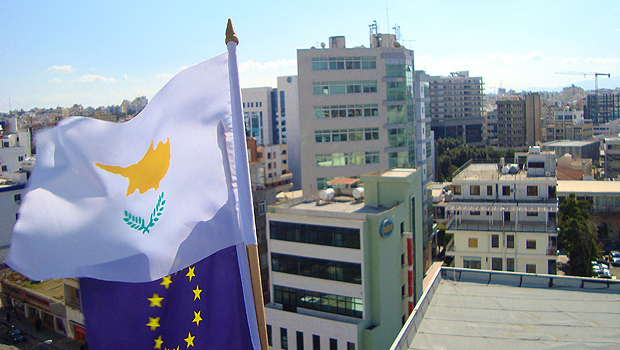 The official said the EU had given Cyprus until Monday to come up with an alternative, so speed was of the essence.